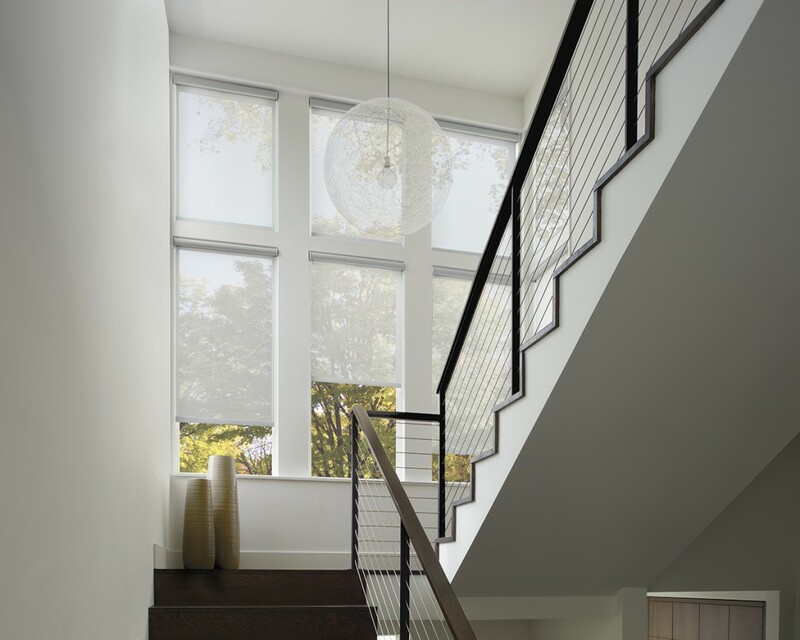 Hunter Douglas Designer Screen Shades are an innovative combination of sheer beauty and functional technology, offering visibility of the outdoors while protecting valuable furnishings from harmful UV rays indoors. 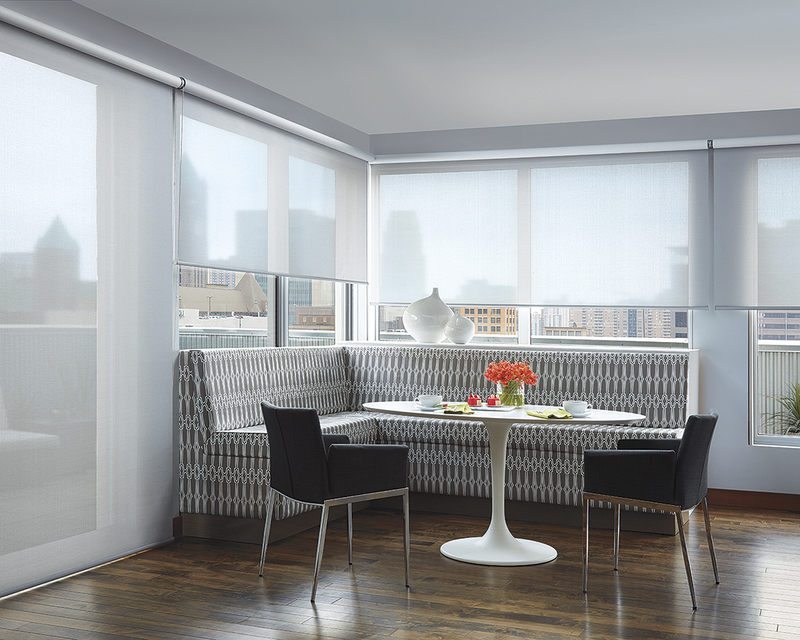 Hunter Douglas Designer Screen Shades are now are available for outdoor use. Patio Shades, are the perfect addition to a patio or sun porch. Create drama or add a layer of light control to any covered outdoor space. Available fabrics are made from weather resistant, vinyl coated fiberglass yarns that are durable and easy to clean, these are the perfect addition to a patio or sun porch. • Custom Clutch features shade-to-shade lift uniformity and minimal light gap that is even on both sides. • LiteRise and Cordless lifting systems offer enhanced child and pet safety. • UltraGlide single retractable cord system offers enhanced child and pet safety with a constant cord length. • PowerView Motorization features our patented, battery powered wireless control. 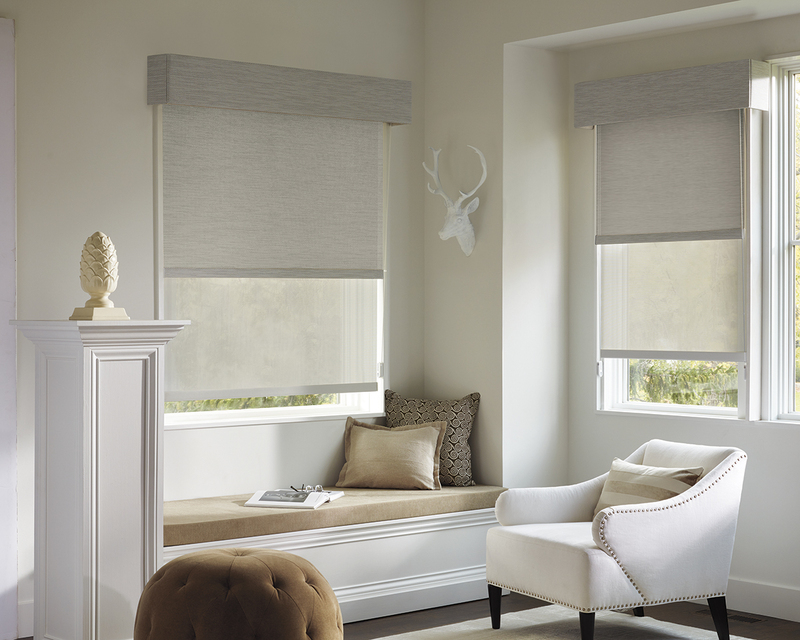 Designer Roller and Designer Screen shades have achieved GREENGUARD GOLD Certification. 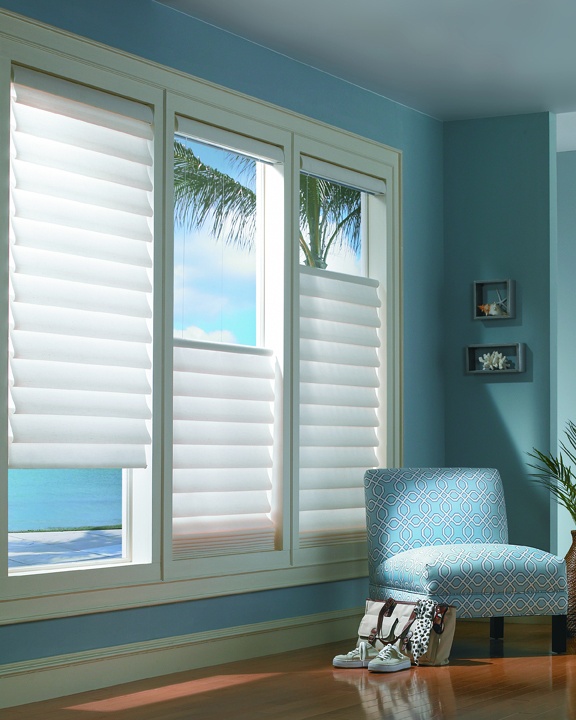 Hunter Douglas products are custom made to order, Designer Screen Shades are available up to 180” wide. Please contact us for pricing and options. 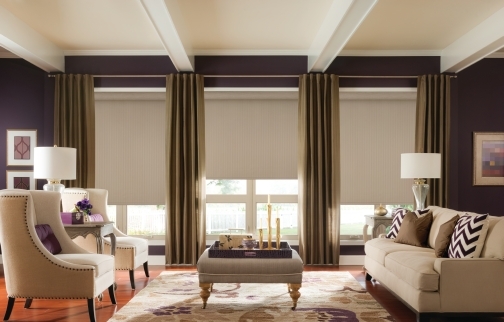 Categories: Roller Shades, Hunter Douglas. 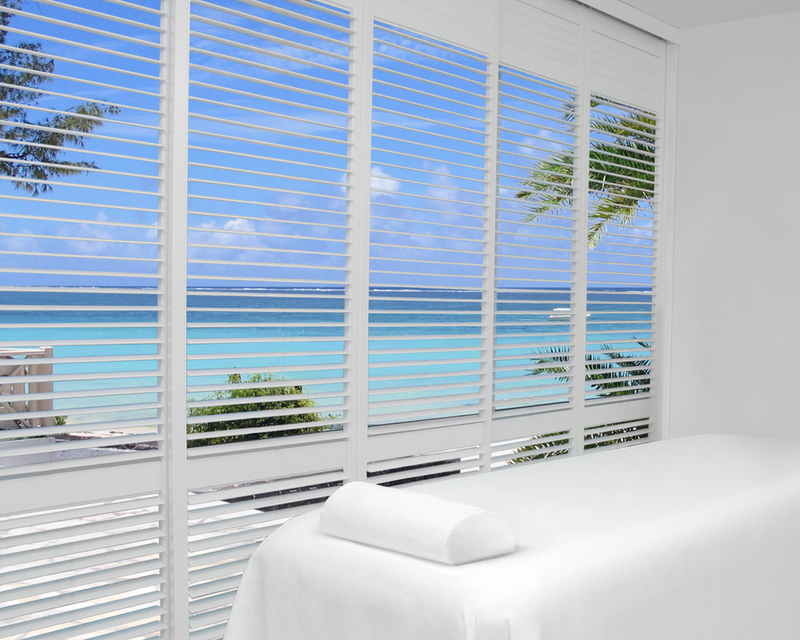 Tags: Custom Window Coverings, Motorized Shades, Powerview, Roller Shades, Screen Shades, Shades, Solar Shades, Window Coverings.